It is everywhere. The secret ingredient to the devolution of civilization. The ambrosia of aristocracy and the aphrodisiac of sociopaths. The pheromone of ecstasy of the Prole, intoxicated by regional football games and big booty music videos. A fresh Monsanto harvest in the summer breeze. The mother, suffocating under the scrimmage of Black Friday zombies. The glossy trance of CNN’s viewership. The dance of nuclear fusion awaits us. The means to an end. Apathy, pour homme. 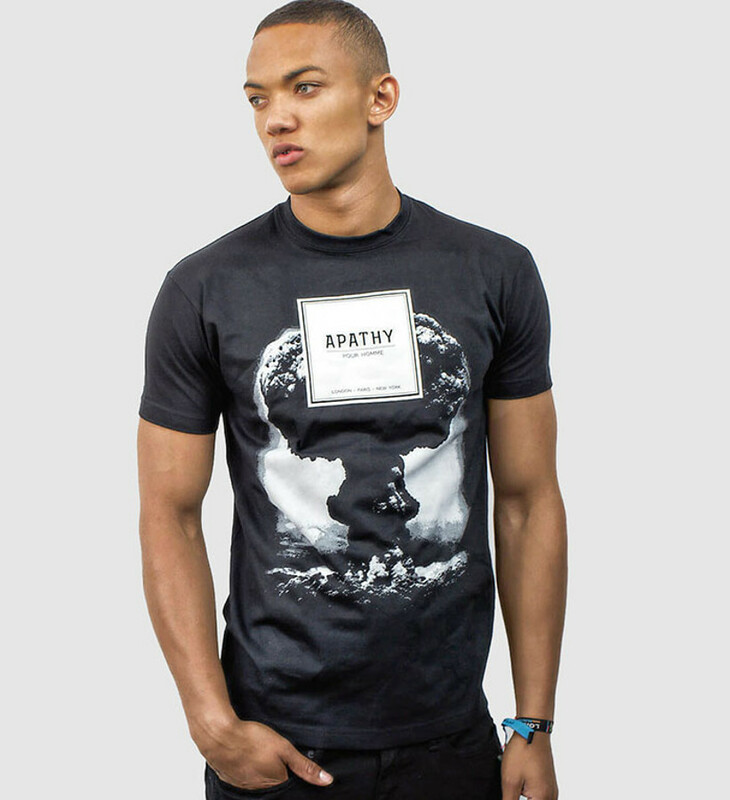 Black anti-apathy t-shirt features uber glamourous print of our weapon of mass distraction. To minimise waste these t-shirts are made to order and therefore may take up to two weeks for delivery. The All Riot 'Apathy Pour Homme' T-Shirt product ethics are indicated below. To learn more about these product ethics and to see related products, follow the links below. 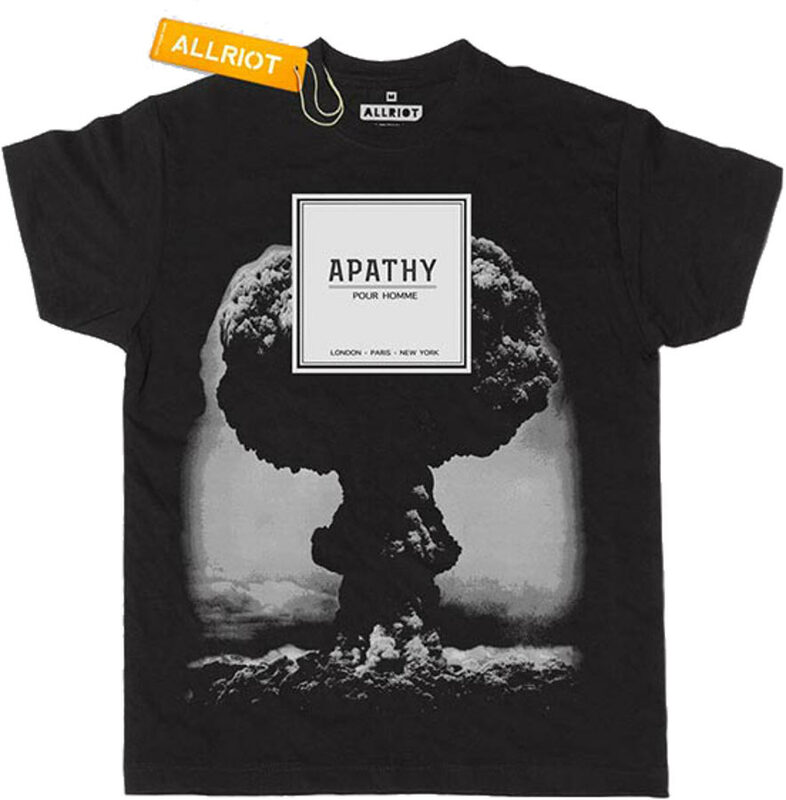 There are currently no questions to display about All Riot 'Apathy Pour Homme' T-Shirt.